Our Play Nativity Set, made in America consists of 25 wood pieces and a storage box (7.5"x6.5"x3.5"). 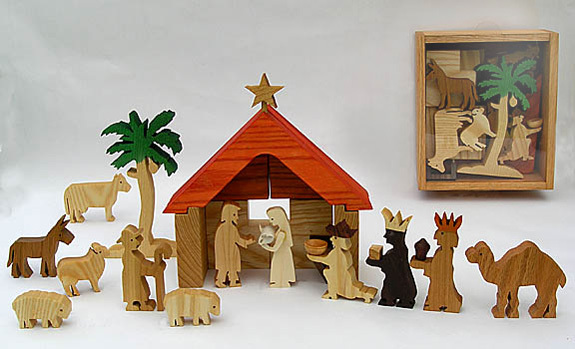 Children can construct the stable from 11 wooden blocks including the star of Bethlehem. Baby Jesus fits into Mary's arms and has a bed in the manger. A perfect creche for a child to play with.